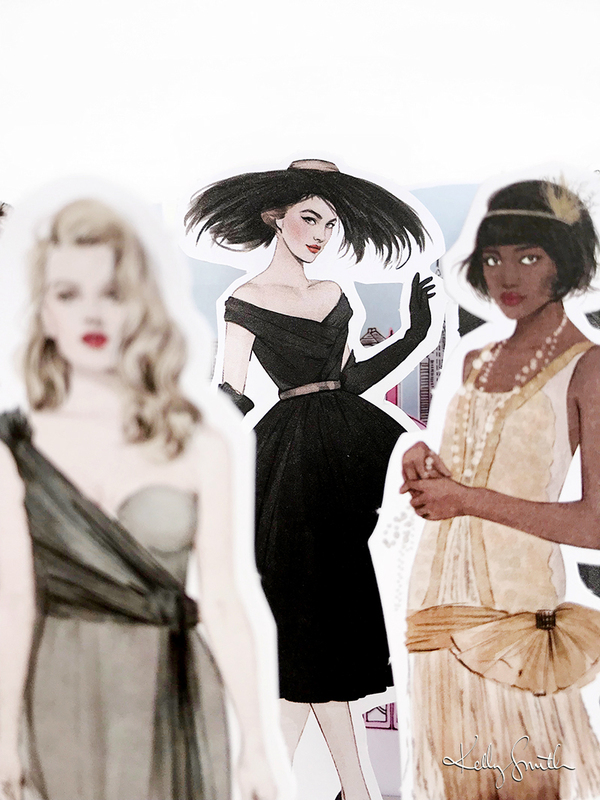 Conceived by Richard Ferguson and researched/written by Isabel Thomas, this interactive volume is one of a series of ‘press out & display’ books chronicling significant moments in history ; focussing this time on Fashion! We’ve worked our way through the entirety of sartorial history and illustrated key looks from Ancient Egypt all the way to the present-day 2000s, including La Belle Epoque, the ‘New Look,’ and the Swinging Sixties! 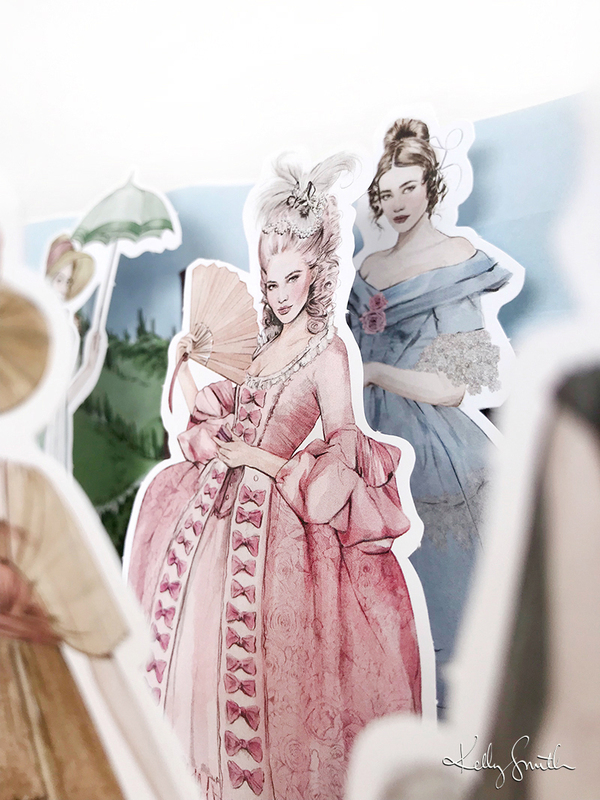 Each figure can be pressed out and placed into her corresponding stand, creating a 3D timeline that can be displayed on any bookshelf. Initially I assumed I’d immediately love anything post 1920s but some of my favourites to draw were the Elizabethan and Versailles gowns; such beautiful silhouettes and so detailed! I mean, I got to draw Marie Antoinette in all of her powder-pink glory. I can die happy now. These pop-up beauties are the best fash-ucation a kid (big or small) could ever need, and available now at your local bookstore or online at laurenceking.com. I hope you like some of the sneeky peaks below! Quick sketch of one of the gorgeous looks from Anthony Vaccarello's Spring/Summer collection for Yves Saint Laurent. It was stunning. See some of my faves below. The original sketch of this look is also available in my shop here.